One of the gifts of a Carolina summer is the sweet, juicy, delicious peach! Peaches have a strong history in the Carolinas, dating back to the late 1600s when they were first discovered in South Carolina. Since then many hybrids of the original peach tree have been created, and are often named after the Carolina town from which they came. 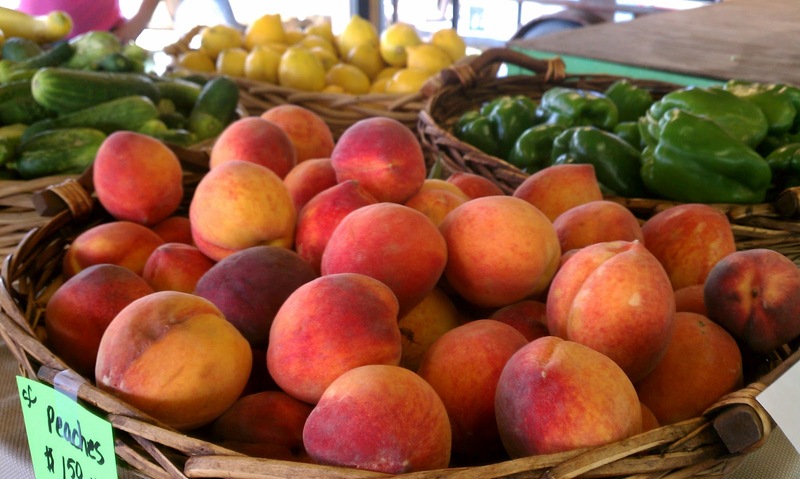 At the Mount Holly Farmer's Market, like all over North Carolina, it is "Peach-a-Palooza"! The peaches have changed from clingstones to freestones, and have also become a cornerstone in my family's daily diet. 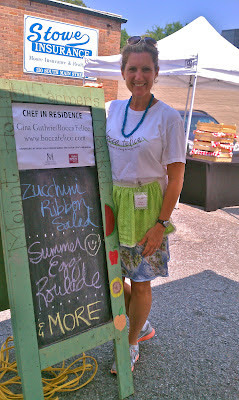 Therefore, I chose to prepare two amazing peach dishes during our most recent culinary demonstration at the Mount Holly Farmers Market, and we have provided the recipes for you to try in our Recipe Box....Enjoy!!! We will return to Mount Holly again on August 11th and 18th, and we look forward to seeing what is in full-bounty at the market to share with all the market patrons and guests! Hope to see you there! * Quote taken from "Sweet Carolina" article in June 2011 edition of Our State; North Carolina magazine...visit www.ourstate.com for a collection of peach recipes!